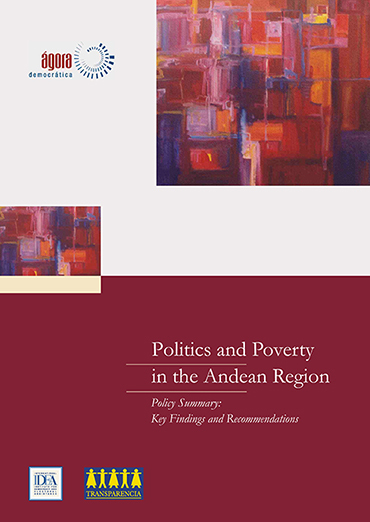 The main purpose of this policy summary is to identify policy areas that political parties can agree on in the fight against poverty in the Andean region, and to analyse the political obstacles to poverty reduction. A crucial step for endorsing anti-poverty reform is to support opportunities that allow the poor to have greater influence in political decision-making. Key recommendations relate to the need for economic policy to be linked to social policy goals; and the need for social policies aimed at not only pulling people out of poverty, but also protecting them from sinking into it. This summary is based on the longer report published in Spanish.